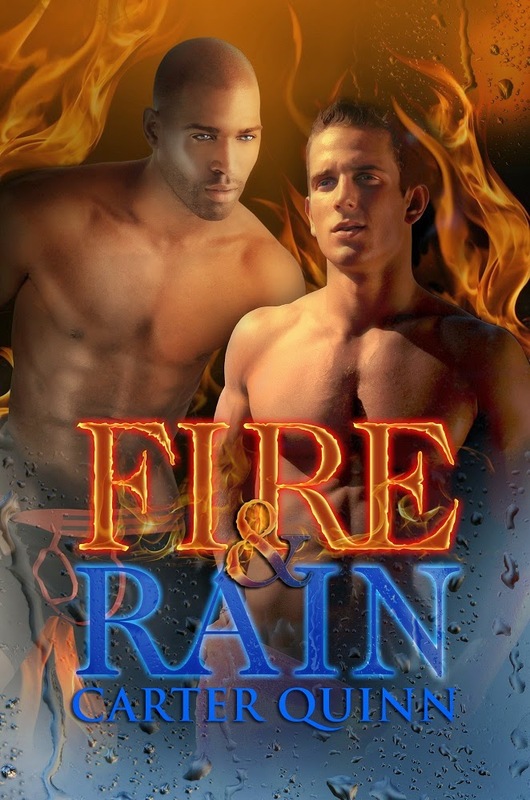 Carter Quinn Books: Fire & Rain! Ladies & Gents, behold! The amazing cover art for Fire & Rain! Scroll down for the blurb and the Amazon pre-order link. January 27th isn't too long to wait, is it? Eric Walker has learned hard lessons from his past. He’s no longer the alcoholic husband hiding in the closet. He’s no longer the guy who tried to steal his brother’s boyfriend. He has two items on his agenda: fix his relationship with his brother, Jason, and find his own soul mate. But when it comes to relationships, Eric's track record looks more like a train wreck. He craves intimacy almost as much as he fears reverting to his old ways. Johnny Osborne has watched Eric mature over the last year and a half and has fallen in love with him in the process. He's tried being patient, but it’s gotten him nowhere. No matter how many disastrous blind dates Johnny sets Eric up on, Eric seems determined to consider everyone but the man who’s been right in front of him all along. Eric and Johnny aren't the only ones struggling with their emotions. After his apartment burns down, their coworker, Travis, can't choose between the guy he’s been crushing on and the guy he’s afraid to love. He seems determined to re-enact every blunder of Eric’s past. Will Travis learn from Eric's mistakes before the man who loves him walks away for good? Will Eric ever see that best friends make the best lovers? I just re-read Fire and Ice and The Way Back. I loved both books. Will Travis and Jeremiah get their own book?